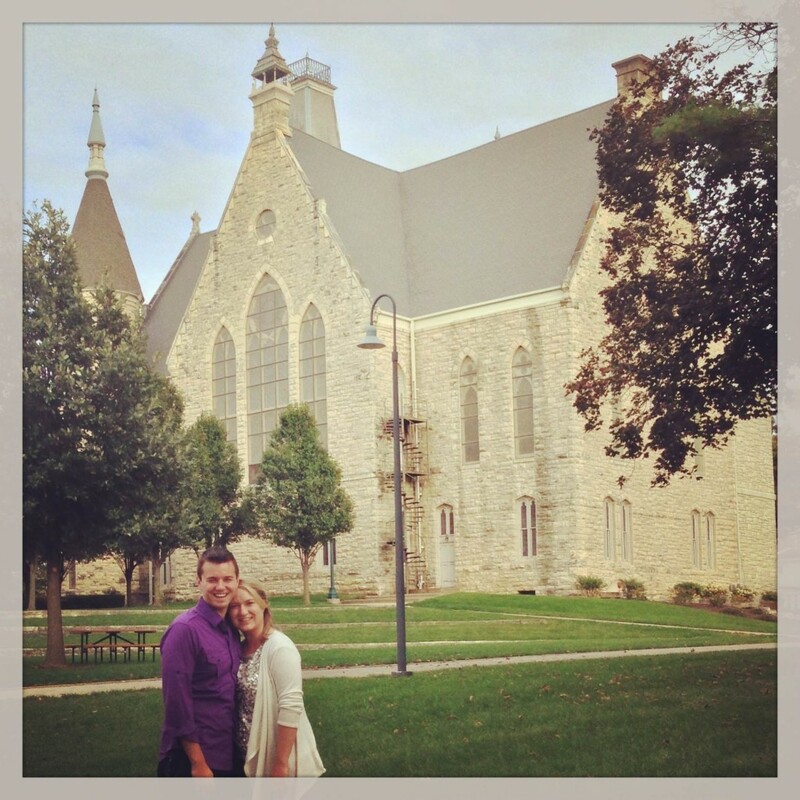 This past weekend, I road tripped to Mount Vernon, Iowa, with my husband and our best friend for our 5 year college reunion. It was such a fun weekend to catch up with friends and reminisce about our college days. We even did a nostalgia walk around campus with friends, stopping at old rooms and sharing our favorite stories. Our college campus means a lot to to me and my husband. Like many of you. I am sure, Cap and I met and fell in love at college. Two years after graduating, it was also where my husband proposed; see the balcony at the very top of King Chapel’s bell tower in the picture below? That is where he proposed. Pretty awesome, right?! This past weekend was also the first weekend that really felt like fall! It was filled with sweaters, rust colored jeans, football, apple crisp, and sitting around a camp fire. It was also nice and cool, dipping down into the 40s Saturday night. 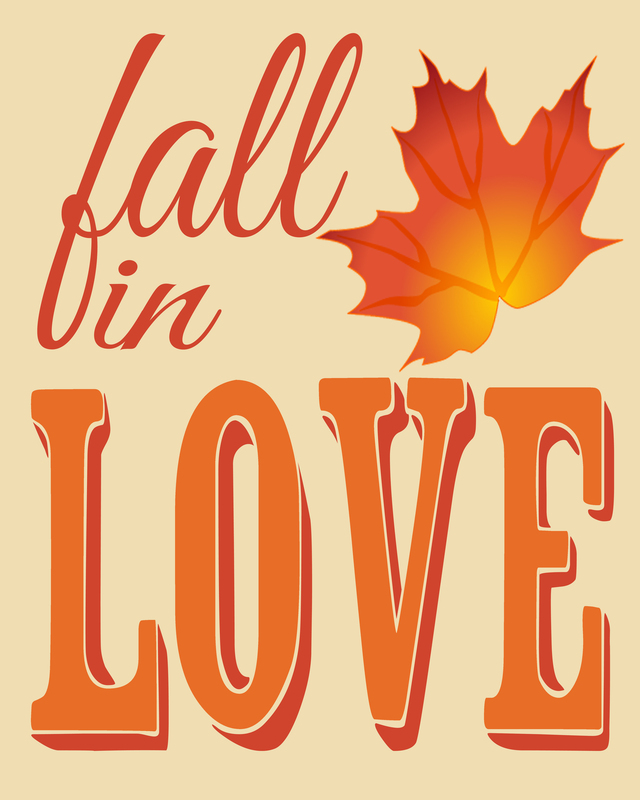 It made me think about fall, so I decided it was time to give you all a free Fall printable! 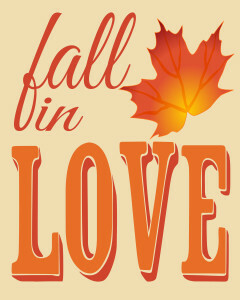 You can download your free fall print HERE! If you are interested in other printables, you can look HERE. I would love for you to connect with me below! I link up to the following parties, including Serenity Now, Shabby Nest, Whipperberry, Homecoming, Homestories A to Z, Finding Silver Pennies, Organizing Junkie, The Weekly Creative, Thirty Handmade Days, the Monthly Pinterest Challenge, and Inspire Me Please. So pretty! love the colors 🙂 Pinned and tweeted. Such a pretty printable. Thinking I’ll print it out and put it in a frame to give as a prize at our monthly Leverett cousin get together. Thanks for sharing Maggie Mae. Glad you had a great time on your trip.